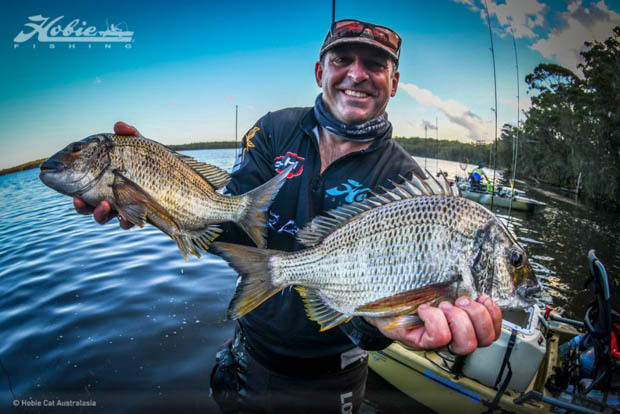 A ST GEORGES Basin round record of 64 anglers competed in the Pro Lure round 7 of Hobie Kayak Bream Series 9 over the May 20th-21st weekend. 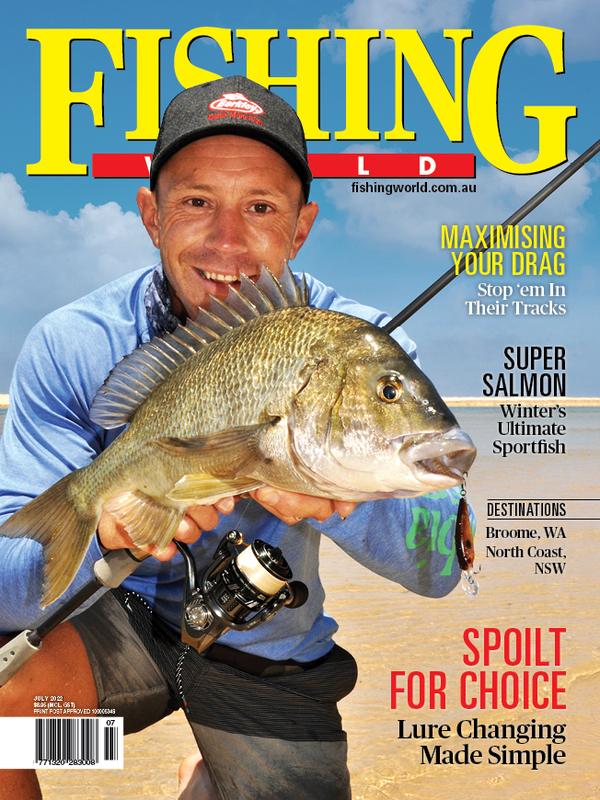 Anglers travelled from Queensland (QLD), Victoria (VIC), the Australian Capital Territory (ACT) and throughout New South Wales (NSW), to the Shoalhaven region of the NSW south coast, despite predictions of horrendous weather over the weekend. While pre-fish was thwarted by inclement weather conditions, there was a dramatic improvement from the moment anglers left the Power-Pole Starting Line on day one with the clearing skies developing into a perfect weekend, with an excellent bite to match. 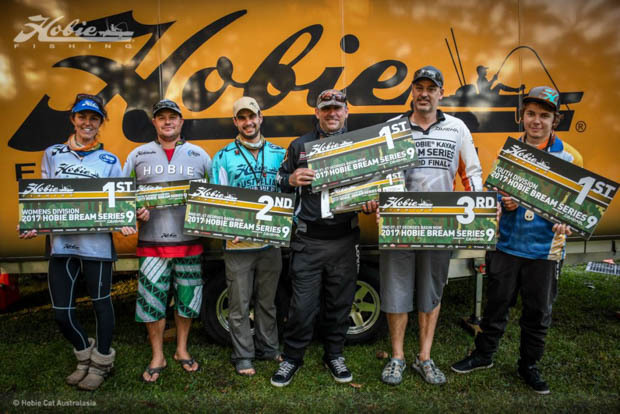 Three teams were competing in Hobie Pro Angler 17Ts, which made their first appearance in a Hobie Kayak Bream Series event. Three first timers joined the ranks of the seasoned competitors and the Women’s, Youth and Masters Divisions were once again extremely competitive. Congratulations to all competitors for a superb tournament and those that topped their divisions, but the major accolades go to the top three in the Open Division, Richard Somerton first place, Byron Hill second and Scott Marcinkowski in third place. Click here for the full list of results for the weekend. Next round is the Strike Pro round 9 on the Gold Coast.